Sokaku Takeda and Morihei Ueshiba student Admiral Isamu Takeshita on the right. 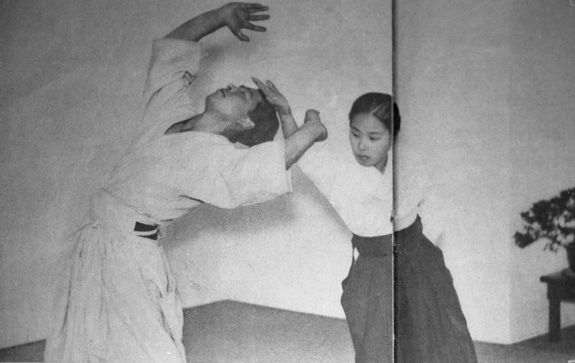 All 243 pages of this beautifully remastered manual are available for download at the bottom of this essay from Scott Burke, which explains what the “Phantom Manual” is and how it is related to Aikido Founder Morihei Ueshiba and Aikido. Enjoy! This Yamato Ryu is very much a product of Ueshiba’s students. His name is even written in the back indicating some level of oversight over the book, possibly as editor. Unless I’m losing my sight there is no mention of Aiki in this book. There is no mention of Heaven, earth, man or anything obvious pointing towards internal training methods. 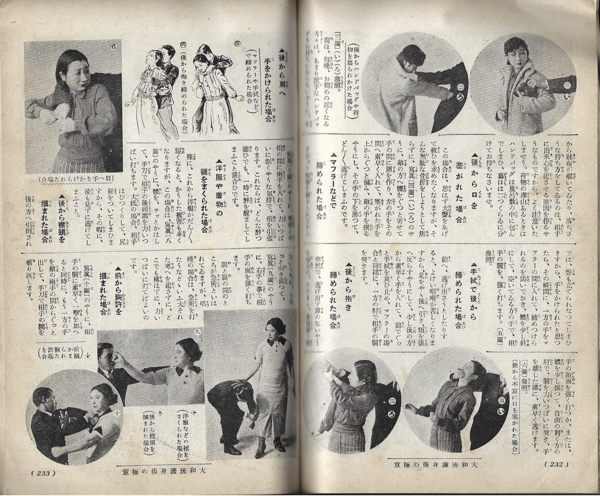 This is a straightforward collection of self-defense techniques for women in early Showa era Japan. As a historical document, it begs questions about who-knew-who in the mid 1930’s, as there are some interesting names attached to this work. 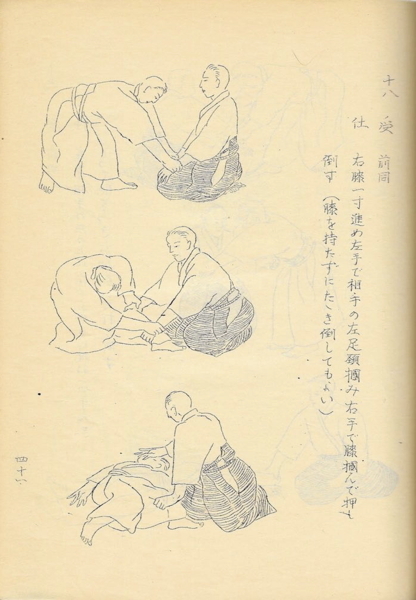 Firstly, the illustrations are by Takako Kunigoshi, one of Ueshiba O-Sensei’s Kobukan era students and the illustrator of the famed Budo Renshu aka Aikijujutsu Densho. 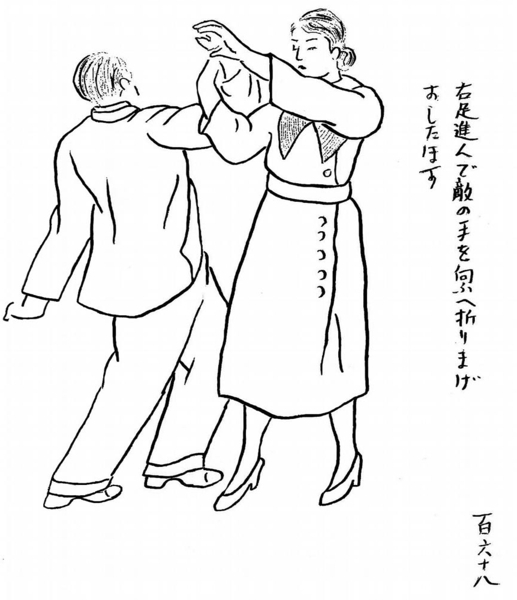 There are over two hundred illustrations depicting self-defense techniques. 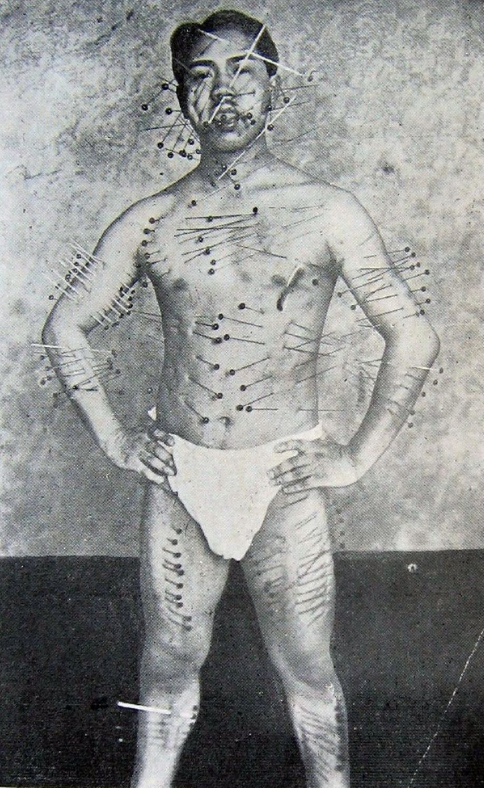 These techniques are often shown with the figures in regular Showa era (1930’s) daily wear, with only a few done with the participants wearing something like dogi. 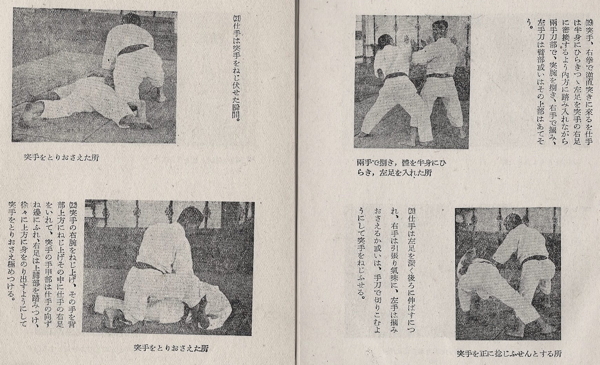 The manual’s authorship is credited to Fujiko Suzuki, a third dan Judo and shodan kendo practitioner. Her signature and a stamp with the characters Yamato Ryu Soke, are on the book. 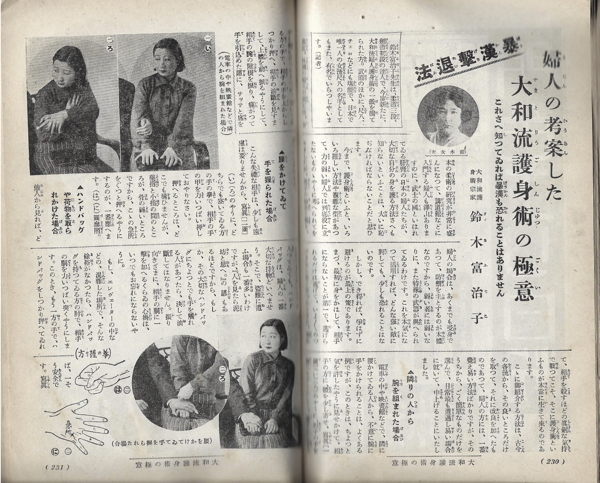 Aside from an article in a 1937 housewife helper’s magazine (below) and the 1937 Jijishashin press clipping (above) there is nothing more definitive that I can find on Fujiko Suzuki so far. Editor: I imagine there weren’t very many women among the deshi in those days. There were only two of us! The other woman was two or three years younger than myself. I received New Year’s greeting cards from her up until a few years ago. Even now it seems that her nephew is going to the dojo. But as you said, in those days not many women went to train. Ever so, Ueshiba Sensei never made us feel different by changing things “because you are a woman”. I started early in 1933 and it was after about a year that we did the book so I suppose it would have been around 1934. These pictures were really difficult to do! I had to do them all twice, you know. Even so I always felt there were some problems left. The second book was never printed after all but… At any rate, this particular version has the first drawings. Just about the time that the war started my alma mater was on summer vacation and I spent something like three days teaching something more akin to self-defense than to Aikido. If we could have taken those 50 people who were to learn and divide then into three groups for three teachers it would have been fine but as it was after the first day one of the instructors’ voices gave out and we ended up having to do the course with only two instructors. I had to take care of 30 of them. The take away from this, Kunigoshi was actively teaching women’s self-defense classes, there was a second female deshi, and most interestingly, there was a second book, seemingly never published. The first of these take aways is the easiest to accept, Kunigoshi teaching women’s self-defense classes is a given. Next, an unnamed second female deshi. Well, maybe this was Fujiko Suzuki, and maybe not. Access to Kobukan membership records could clear this up quickly, but on that we’ll just have to wait and see what emerges. And lastly, a second book? Is it Yamato Ryu Goshinjutsu? Again, maybe. 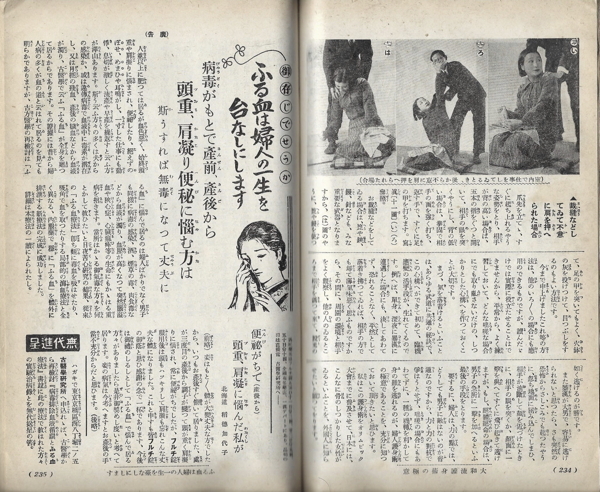 It’s possible that when Kunigoshi was referring to the second book she was actually referring to Aikido Maki no Ichi, a cleaned up and condensed version of Budo Renshu with some slight variations on technique endings. Or, she could have been thinking of this book, which actually did see print in 1937, although in obviously smaller circulation than Budo Renshu three years previous. The interview with Stan was several decades after the fact and Kunigoshi could simply have misremembered, I know I would be hard pressed to tell you all the details of the copyright clearance report I did for the MGM film library in 1996, though at the time it held all of my attention. At this point, I really don’t know which theory is correct. Please feel free to provide leads if you have them. There are handwritten introductions to the manual from different figures, which give weight to the notion that this book is closely related to Ueshiba and his 1930’s cohorts. Restoring this portion of the manual has been tricky, because it is all handwritten and of a style a bit above my ability to read. In some areas the original mimeograph must have accidentally “double stamped” it leaving the initial text especially blurry. I ran the images through Photoshop removing as much grit as I could while retaining the structure of the text. 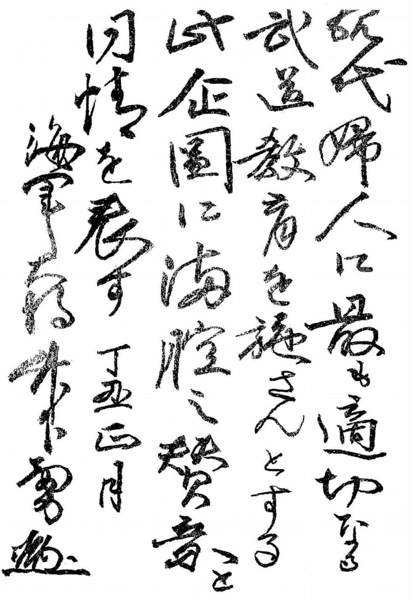 The signatures and titles are larger and easier to read, and besides some lingering grit the calligraphy for the poetry came through clearly. Mr. Munetaka Abe, Gozo (Shioda)’s middle school headmaster, was struck by the outstanding mental attitude of a young woman, Miss Takako Kunigoshi, who cleaned a nearby shrine every morning. When asked about her exemplary bearing, she gave credit to her aikijutsu teacher and suggested the schoolmaster observe a training session. Thoroughly impressed by what he saw at the nearby Ueshiba Dojo, Mr. Abe urged Gozo’s father to enroll his son there. …Shioda immediately decided to join the dojo. Since two guarantors were required to enter, his father and Mr. Abe provided introductions. Shioda’s entry to Ueshiba’s dojo is placed at 1932. According to records available online Mr. Munetaka, was principal at the Tokyo Prefecture Number 6 Middle School from 1922 to 1936. The Yamato Ryu manual was published in 1937. 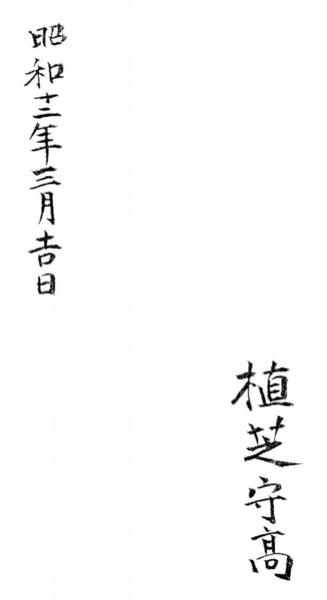 Mr. Munetaka obviously stayed in contact with Kunigoshi, so much so that he contributed calligraphy to the project. Additionally, Konishi was an early student (1920’s) of Morihei Ueshiba. In at least two of Konishi’s books (please forgive me, I have the books but they are currently somewhere in “the Pile”, and I cannot recall the titles but you have my word that this is the case) he refers to Ueshiba as the head of the Aioi Ryu, a name which Ueshiba only used for a brief period in the 1920’s. Admiral Takeshita also trained with the Aioi group, and Takeshita is mentioned by Kunigoshi in her interviews with Stan Pranin. Additionally, one of the few pictures available of Fujiko SUzuki is of her being instructed by Admiral Takeshita. I’ll speculate on Takeshita and his influence later. At the same time, it is said that Yasuhiro learned from Ueshiba that the art had two kinds of spirit, one expressed externally and one expressed only in mind. In addition to this little bit of information, Konishi’s 1957 Karate manual touches on Tenchijin theory and how heaven and earth are expressed through the body. 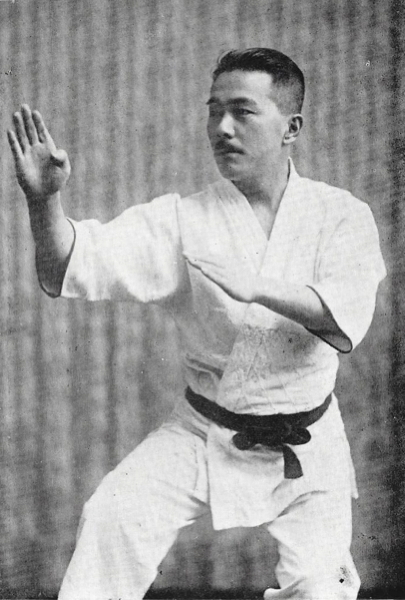 In about 1935, Konishi Sensei developed another kata – Seiryu. During this period, Konishi Sensei, Ueshiba Sensei, Mabuni Sensei, and Ohtsuka Sensei were training together almost daily. At this time, the Japanese government was largely controlled by top officers of the Imperial Army. Konishi Sensei was asked by the commanding general of the Japanese Army to develop women’s self-defense techniques. His first step in fulfilling the Army’s request was to ask Mabuni Sensei to help him develop standardized training methods, to help the students remember the techniques. Together, they developed a karate kata that incorporated the essence of both their styles. As they worked to finalize the kata, they shared it with Ueshiba Sensei, who approved some sections, but advised certain changes. 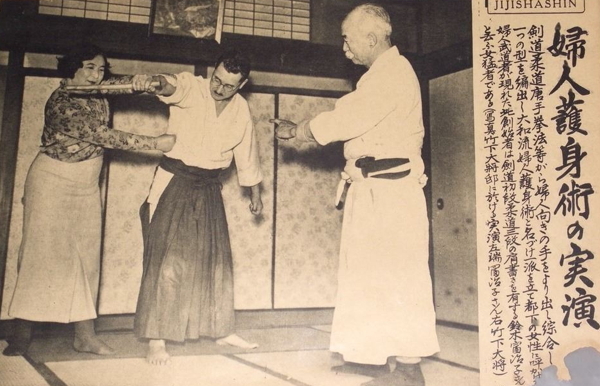 Ueshiba Sensei strongly felt that the kata should be modified based on the gender of the practitioner, because of the need to protect very different sensitive areas. Also a woman’s training was normally executed from a natural (higher) stance. 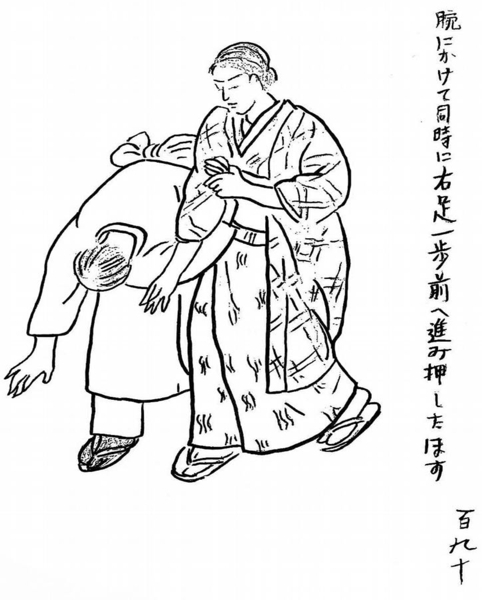 Another factor which greatly influenced the kata was the female position in Japanese society. At the time, a woman’s life was defined by cultural customs, though both sexes wore kimono and used geta. All these factors were considered in the process of developing the kata. So beginning in 1935, plans were afoot to develop a women’s self-defense system, at the behest of a high-ranking military official. Yasuhiro’s incessant eagerness to acquire the secret of various kinds of martial arts brought him the chance to meet Seiko Fujita, the 14th generation of master of “Koga Ninjutsu” and made him to obtain the license from “Nanban Kito-Ryu”. Seiko Fujita is the third author featured in the foreword of the Yamato Ryu Goshinjutsu manual. 14th Headmaster or Soke of Kōga-ryū Ninjutsu. aka “The Last Ninja”. And here we have a ninja master, and an instructor of the Imperial Army’s Nakano School writing a foreword to this women’s self defense manual. Ninjutsu is an area where I am out of my depth, so I’ll gladly bend an ear and see what people in that area have to say. Taken together, all of this data points to the idea of a long lost training manual greatly influenced by the teachings of Ueshiba Moritaka, his signature placed down inside the book on an auspicious day, March 1937. 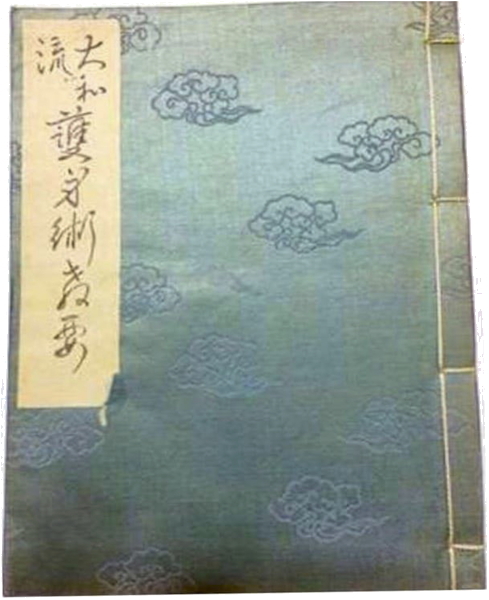 One Japanese rare book dealer called this the “phantom book of Morihei Ueshiba”. It is also possible that this is the sum total of multiple actors working together to create a women’s self-defense manual under the aegis of Yamato Ryu. Or it could be the sole product of a lost talent, Fujiko Suzuki, Soke of the Yamato Ryu. This “phantom book” has been sitting on my desk for a little too long, but now that the picture restoration is completed I’ve decided it is best to release it along with my limited findings in the hope that individuals with more information can shed some light on this previously unknown work. I’ve chased this one for years now. I hope you enjoy giving it a look as much as I did pursuing it. Ueshiba sensei influence is very evident, it feels like this is the second book of Aikijujitsu Densho, only slightly modified for women self defense. Very intresting, thank you a lot for sharing this one. Glad that you enjoyed it! Yes, it’s very similar to Aikijujutsu Densh0, it’s clear where the source is here.